A bizarre confluence of weather events led to the average clarity of Lake Tahoe last year falling to its lowest level on record. The report issued by the Tahoe Environmental Research Center at UC Davis, is a preview of its annual State of the Lake report, due out next month. It points to historic drought, followed by record precipitation and warm temperatures. Lake clarity is a key indicator used to track the degradation and restoration of the iconic lake. "It was more than just a bizarre sequence of events," says the center's director, Geoffrey Schladow, "it was a sequence of extremely extreme events." Data released by the center on Wednesday shows that the average annual clarity level for 2017 was 59.7 feet, which marks the deepest point at which a standardized measuring disk is visible. That's a 9.5 -ft. decrease in depth from the previous year. The five-year average for lake clarity is about 70 feet. Researchers say heavy rains in early 2017 sent sediment that had been gathering in streambeds through five years of drought, into the lake. "These two events came together," recalls Schladow. "The drought let lots of sediment build up in the streams over that 5-yr period and then finally this event — this really extreme winter -- washed it all into the lake, literally in that one year." Schladow estimates that 12,000 tons of fresh sediment ended up in the lake last year, whereas none of the previous five years has seen more than 1,000. The center has been monitoring Tahoe for over a half-century and uses the research to assess how freshwater ecosystems are responding to change. The center's stated goal is to restore lake clarity back to its historic level of nearly 100 feet, which gave rise to its legendary reputation as a jewel among alpine lakes. According to the center, most pollutants that contribute to reduced clarity come from urban runoff. A joint statement issued by the California Natural Resources Secretary John Laird and Nevada Director of Conservation and Natural Resources Bradley Cowell urged the scientific community to take note of the report's findings. "While annual clarity declines are not unusual, the record decline experienced last year warrants an in-depth review to further understand the causes and impacts, and to help ensure the 2017 decrease is an anomaly, and not a trend," it read. While Schladow says the lake is already recovering, the one-year pulse raises important questions about the future. "We all believe that there will be more extreme events," he says, "maybe not as extreme as what we saw, but more intense rainfall, more rain, less snow — things like that we haven’t dealt with before. How do we cope with those sorts of extremes?" 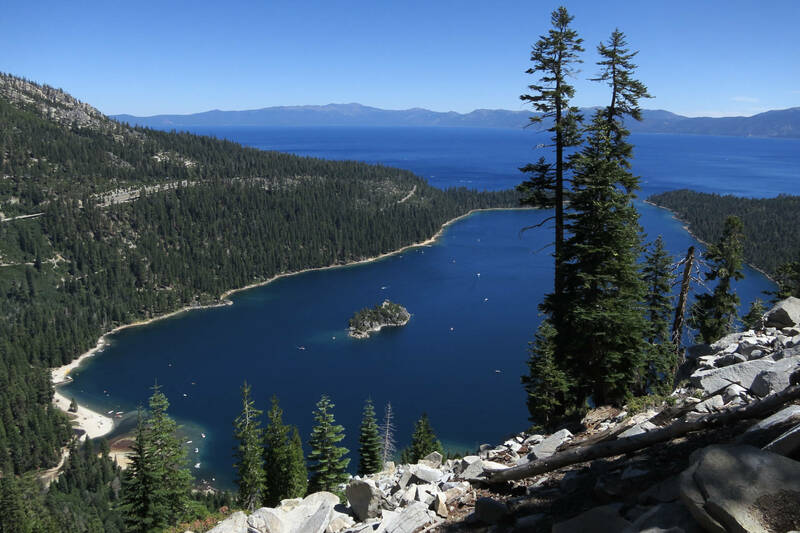 In February, the federal Department of Interior announced that it might slash the budget for conservation projects throughout Nevada, including those that serve the Lake Tahoe region. The majority of the funding has been used for projects at Lake Tahoe, according to Julie Regan, spokesperson at the Tahoe Regional Planning Agency. "If this funding were to be cut," warns Regan, "that would potentially compromise forest health projects that would protect the region from catastrophic wildfires."